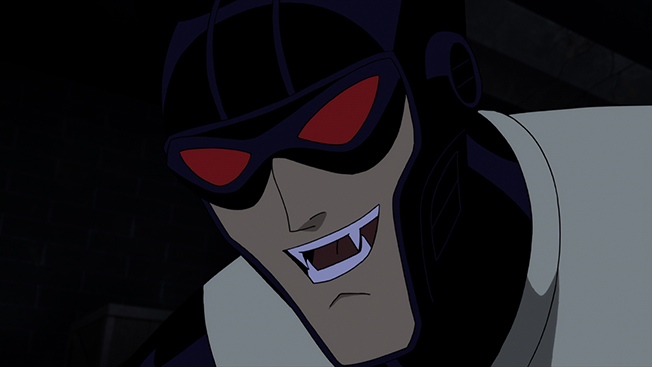 Honda has partnered with Machinima for the new animated digital series, Justice League: Gods and Monsters Chronicles. The automaker will serve as the official sponsor of the three-episode series—which premieres June 8 and wraps up by June 12—in support of a new model HR-V.
"Given the launch of the all-new Honda HR-V, Machinima offers an ideal platform to reach younger auto buyers," Honda and Acura media strategy manager Phil Hruska told Adweek. Just don't expect to see an animated version of the vehicle; no products will be featured in the show. Machinima reaches 151 million viewers a month, but the company's CRO Jamie Weissenborn expects Justice League: Gods and Monsters Chronicles to easily surpass 1 million viewers per episode. Animation legend Bruce Timm, who is responsible for animated versions of both Batman and Superman, is behind Justice League: Gods and Monsters Chronicles. It's billed as a reimagined, edgier narrative of Wonder Woman, Superman and Batman with each character receiving one full episode. Think comic book-based content is for kids who aren't old enough to drive? Think again. "Our sweet spot is in the 18 to 34 [demo], but we believe our community as a whole is more than 70 percent over the age of 21," Weissenborn said. "This is a generation of people in their 40s. They show up to Comic Con. It's sort of the thread of Americana." Machinima also appealed to Honda because its audience is so active on social media, and "social media is an important part of the HR-V launch," Hruska said. "Our audience is known for being overly social. This is really a great discovery vehicle because so many people share and comment on the content," Weissenborn said, adding, "On YouTube, they're more social in the Machinima community than any other community." The series is based on Justice League: Gods and Monsters, a home-video release from Warner set to hit stores on July 28. A second season of the digital version has already been announced, but fans will have to wait until 2016. Asked if Honda will be involved in the second season, Weissenborn said he's "anticipating a lot of interest from a lot of brands." Honda has partnered with digital content providers in the past, including extensive music content as part of the Honda Stage program.